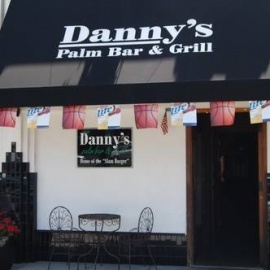 The 2nd Home of the U S Navy Seal Teams...AKA Upscale Dive Bar & Grill. 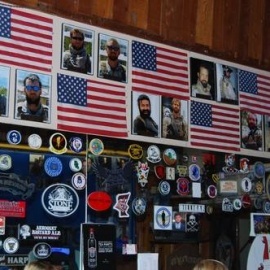 The theme of the fallen navy seals is respectable, Old fashioned high wood bar, photos of fallen military members on the wall (low key and respectful, not in-your-face over-the-top). Staff are chatty and nice (Paige did a great job on her second day!). Casual spot dispensing beer & cocktails along with burritos, salads & hefty burgers.